Just to update a note we had in yesterday’s preview – the Capitals have placed goalie Semyon Varlamov on injured reserve for an undisclosed injury. Speculation is that he’s being hindered by a nagging groin pull, but nothing has been confirmed. Varlamov can be recalled from IR at any time and is expected to travel with the team to Atlanta for the season opener tomorrow. The move, coincidentally, drops the Capitals’ roster to the league-mandated 23 man limit. Rookie Michal Neuvirth is expected to start tomorrow and will most likely dress for Saturday’s home opener against New Jersey. Recently signed Dany Sabourin will be Neuvirth’s backup. Varlamov hasn’t played since the Sept 22 preseason game, though he did participate in skating practice yesterday. Matt Bradley scored his first goal in over two months midway through the third period last night, giving the Washington Capitals the victory over the Atlanta Thrashers with a final score of 2-1. The win also puts an end to a three game slide as the Caps enter the final stretch of regular season play. Atlanta’s loss puts them just a little more behind in the scramble for an Eastern Conference playoff spot. The game was a refreshing change of pace for the Caps, who have been outscored 9-1 in the first periods of their recent skid. Last night, Nicklas Backstrom tipped in a Mike Green slap shot from the point in the last minute of the first, giving the Caps the lead going into the first intermission. Backstrom’s goal was his 30th on the season; his previous career high was 22, just last season. Caps goalie Semyon Varlamov made 19 saves against the anemic Atlanta offense in his first win since March 4. The Caps’ next contest is an away game in Columbus on Saturday at 7 p.m. The good news? 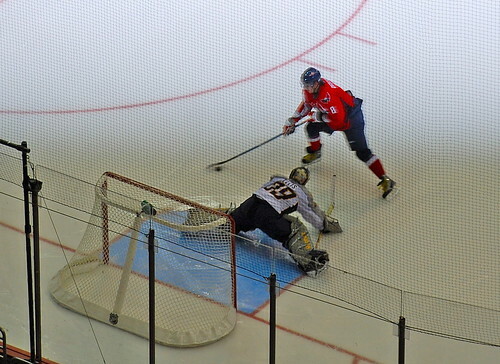 Alexander Ovechkin has found the net again. The bad? The Caps home game streak at Verizon has ended at 13 as the Dallas Stars stole a 4-3 shutout win. The Caps seemed en route to another home win against the visiting Stars. 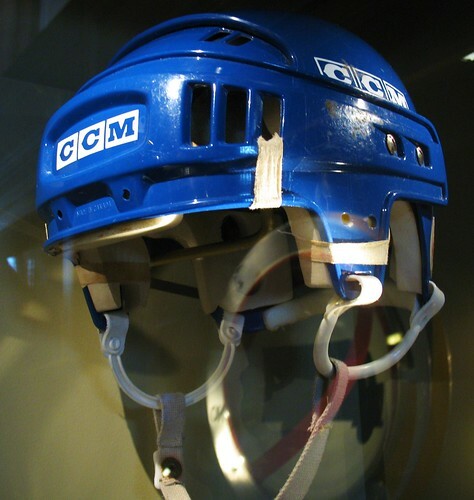 After two periods, the Caps held a 2-0 lead and with a record of strong third periods, seemed destined to add to the record-breaking streak. The Stars have been lackluster of late; they entered the Verizon Center with a three game losing streak and have been outscored 17-5 since the Olympics ended. As you read this, Olympic hockey has begun for the 2010 games in Vancouver. So what does it have to do with DC? For Caps fans, everything. Think of these next two weeks as less an NHL break and more of an intermission show that has the makings of an epic Game 7 Stanley Cup Final every night during the playoff round. The Capitals have five players in the tournament, scattered across three national teams. And depending on how they do and where they place, the Caps may have quite the motivator when these players return the first week in March. So Wednesday night saw the end of what could arguably be the best Caps season in recent history. Despite the letdown of Game 7, Caps fans – diehards and bandwagoners alike – can walk away with heads held high. Should I remind you why? 1. 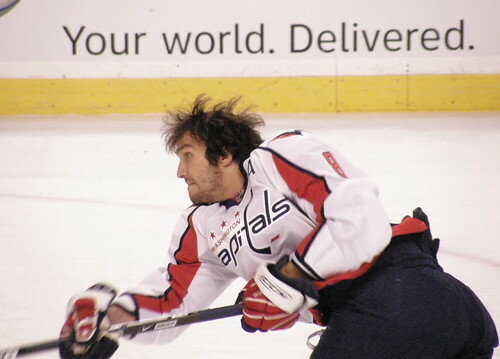 Alexander Ovechkin. Every year, he gets better. From his exuberant celebrations (Don Cherry be damned) to his wide, gap-toothed smile, to his on- and off-ice passion, he is Mr. Caps Hockey. Does he still have more to learn? Honestly, yes. But he’s young, he’s talented, and he’s willing. It’s only going to get better from here, so settle in and enjoy the ride.